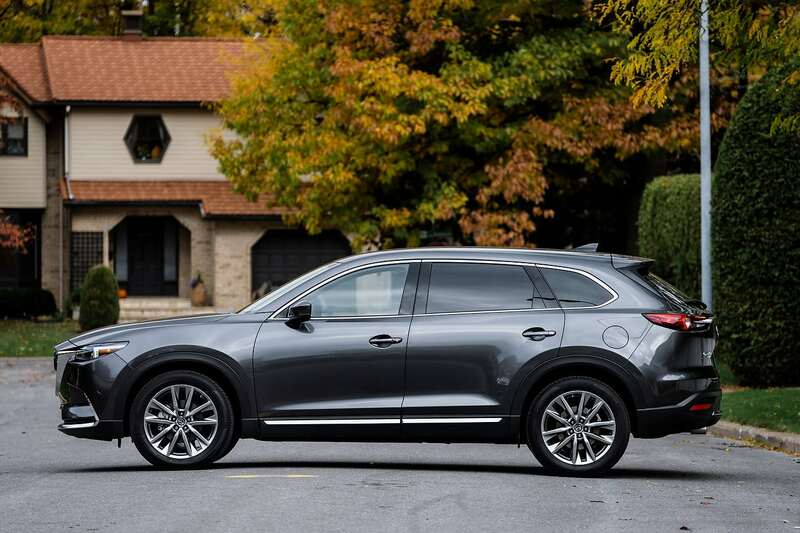 There are a couple of things that stand out about the three-row Mazda CX-9 when you drive it for an extended period of time. 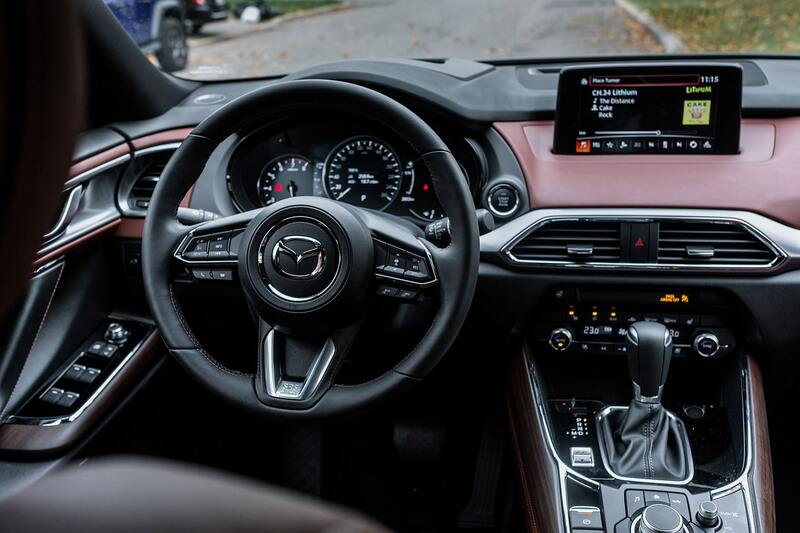 For one, the 2019 Mazda CX-9 Signature feels more luxurious and expensive than the logo on the steering wheel would have you believe. It’s not some German luxury mid-size SUV, but sometimes it feels that way. Two, it’s perfectly adapted to the needs of parents with a newborn baby. More on that in a second. 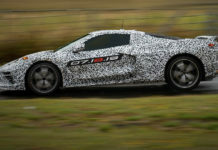 Three, its turbocharged four-cylinder engine has a lot of things going for it, but it’s far from perfect. 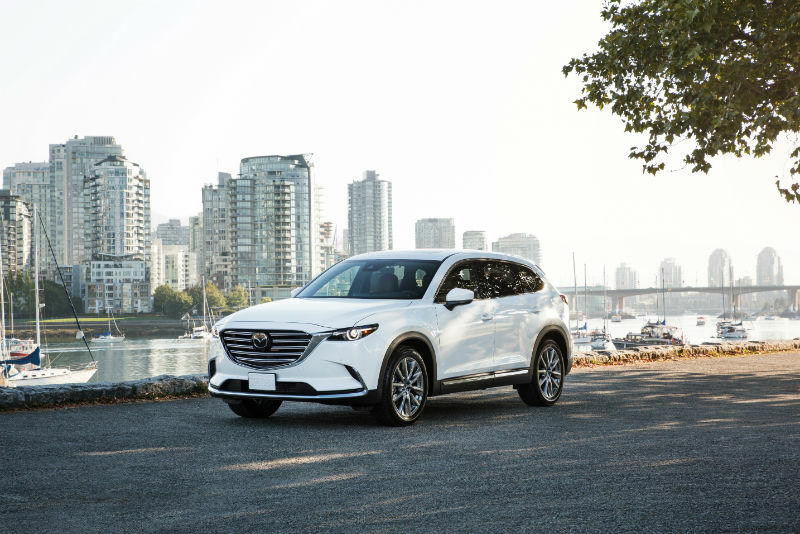 Our long-term 2019 Mazda CX-9 was a top-of-the-line Signature model, the fourth version in the CX-9 lineup and the most luxurious. Starting at $51,500, it features Nappa leather upholstery, Rosewood trim on the doors and dashboard, cross-stitch detailing on the steering wheel, a frameless auto-dimming mirror and an exclusive LED grille illumination. If not of that is of interest to you, we can’t blame you. The Signature model adds quite a bit of luxurious and upscale features, but in no way would you ever have to have them. 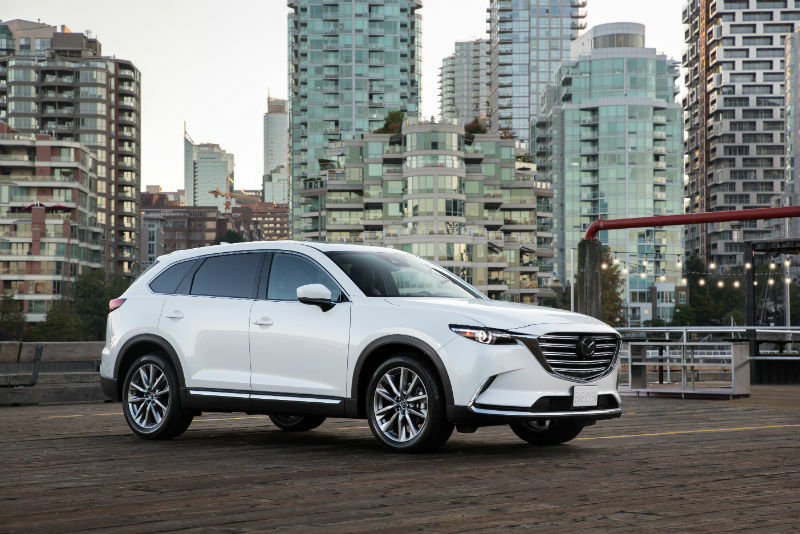 That said, getting the 2019 Mazda CX-9 Signature means also getting all of the features in the other 3 versions. 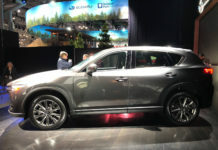 That means you get a sunroof, heated steering wheel, heated front and rear seats, front wiper de-icer, 8-inch color display with Mazda Connect infotainment, 20-inch wheels, adaptive headlights (they pivot to follow curves in the road), 3-zone climate controls and Apple CarPlay/Android Auto functionality. 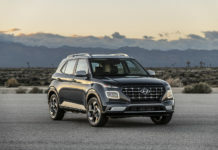 Add i-ACTIV all-wheel drive and i-Activesense active driver assistance technologies to the mix, and you have a very well-equipped mid-size crossover in your garage. This leads back to the original point. 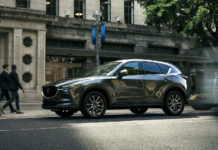 The 2019 Mazda CX-9 Signature combines upscale features you don’t expect to find in this segment with tangible comfort and convenience technology you want. 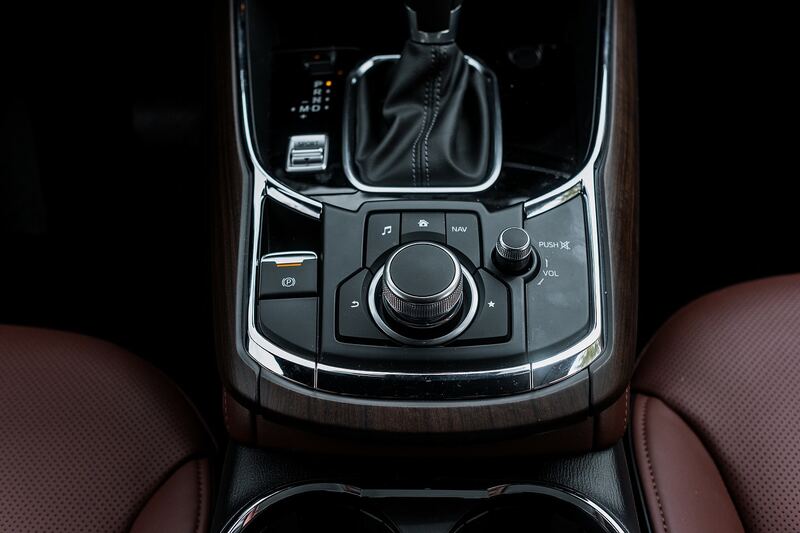 The added touch of Nappa leather and wood trims is something you would see in a German luxury SUV, not a Japanese mainstream mid-size crossover. The more we drove the CX-9, the more it felt like a luxury SUV. The CX-9 Signature isn’t cheap by any stretch, but you could safely say you’re getting your money’s worth. 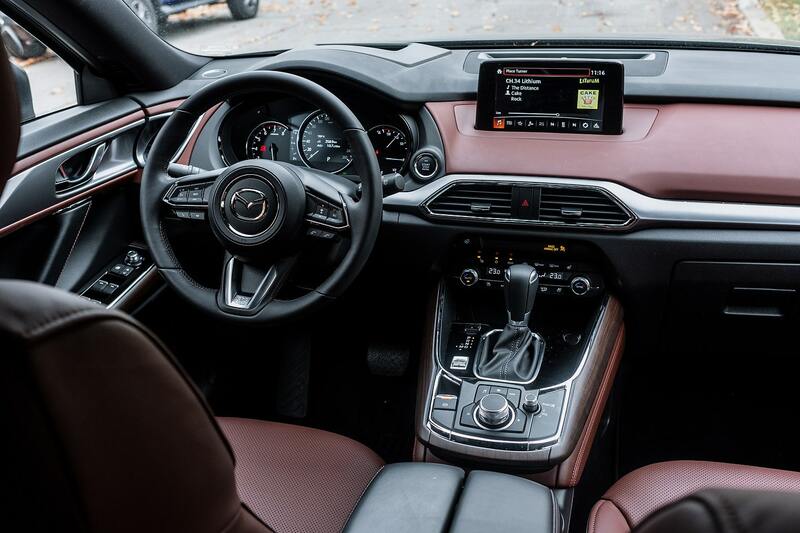 The CX-9’s interior and overall level of luxury isn’t far off the BMW X5’s, Lexus RX and Volvo XC60’s, three other luxury SUVs we tested during our time with the 2019 Mazda CX-9 that are all more expensive than the top-of-the-line CX-9. My time with the Mazda CX-9 happened to coincide with the arrival of my first child. The CX-9 brought my wife and I to the hospital, and brought our little family home a few days later. We also did all of our pre-baby shopping in the CX-9 meaning every inch of available interior space was packed with boxes from IKEA, Babies R US and Clément each and every weekend. Couple of things here. 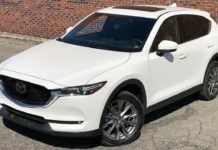 The 2019 Mazda CX-9 is far from the most spacious mid-size SUV in its segment. 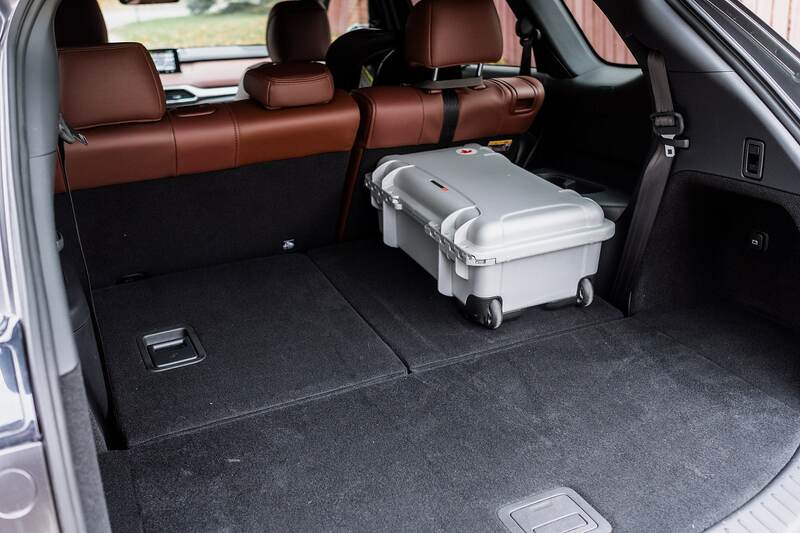 The Honda Pilot has it beat by about 500 liters (with the third row down) and the Subaru Ascent, Nissan Pathfinder, Volkswagen Atlas and Toyota Highlander all offer more space than the CX-9. On the other hand, you get 1,082 liters of cargo space behind the second row which was plenty for us despite all the baby shopping. Never once did we run out of space, and we were doing a lot of buying. So it really boils down to your needs. 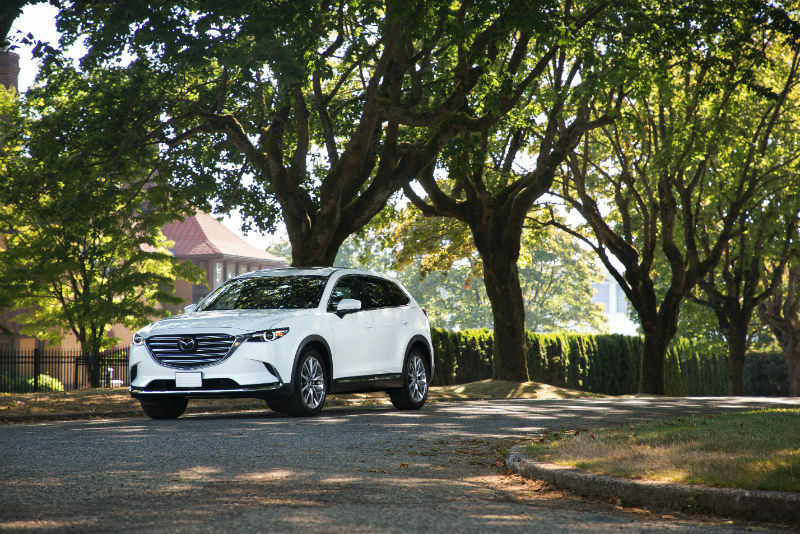 Is the CX-9 the most spacious? No. Is it spacious? Yes. The one thing that stood out when we brought the kid home was how wide the rear doors in the CX-9 open. As any parent knows, that first moment walking outside with your new baby is a very unique experience. Your senses are tuned up to maximum, you notice every single thing happening around you, it feels about 10 degrees colder than it actually is, and you need everything to work. As we got to the Mazda CX-9 and open the rear doors, both my wife and I noticed how wide the doors opened. They basically open up to 90 degrees. Perhaps not that much, but it is impressive. 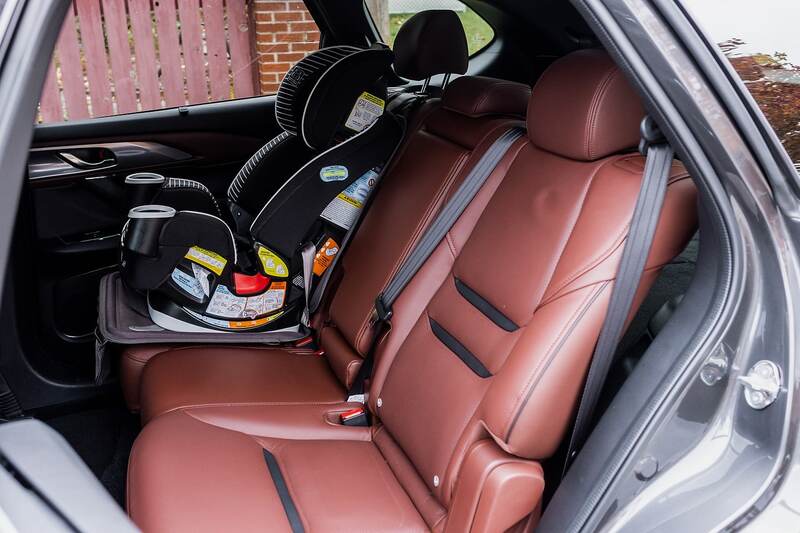 Getting a car seat in there is very, very easy. Sitting in the back with our new baby, my wife also commented on just how comfortable it was back there. She too could sense everything that was going on, and never once felt like our newborn was being overly shaken. Does a Turbocharged Four-Cylinder Work? 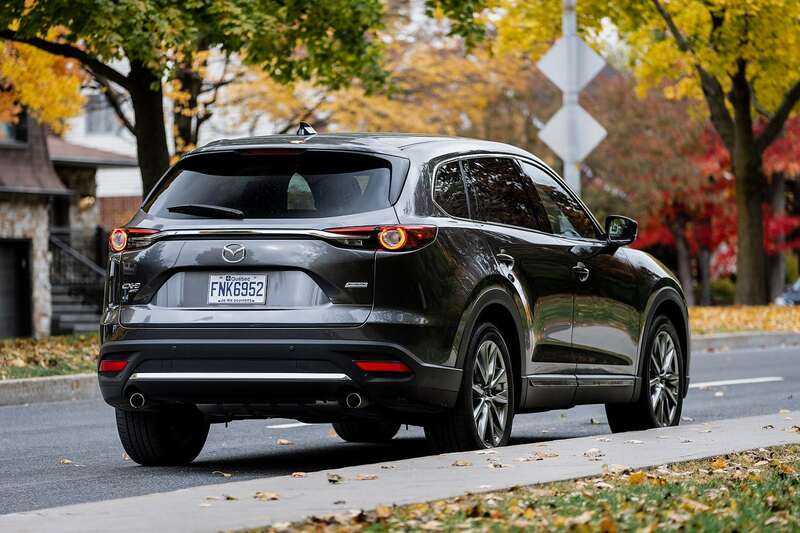 In short spurts, the Mazda CX-9’s turbocharged four-cylinder engine handles itself quite well. You get 227 horsepower if you use regular fuel, and 250 horsepower with premium fuel. What’s more interesting is the 310 pound-feet of torque that’s available. 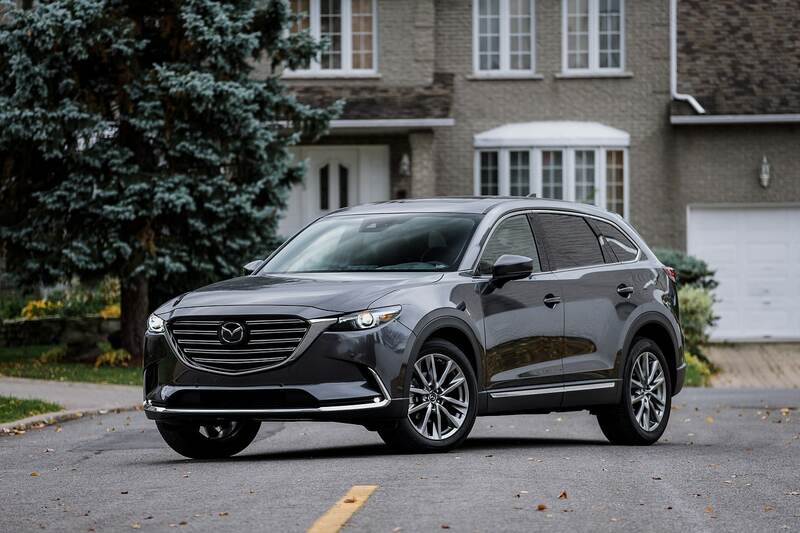 During our weekly review of the Mazda CX-9, we found the engine competent and praised its low-end torque. Same story after driving the Mazda CX-9 for a few months, but with a caveat. The engine has plenty of power at low speeds, but it tends to be a little jittery when you’re trying to control your speed. At 50 km/h and lower, it doesn’t like subtle pressures on the right pedal and the automatic transmission sometimes struggles to find the right gear. 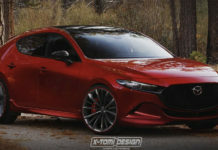 We don’t know if that’s Mazda’s Dynamic Pressure Turbo at work (it varies the amount of boost depending on the situation), but it could be smoother. It’s also a little loud at low speeds, but sound does even out as speed climbs. Passing on the highway is where this engine truly shines. We did a ton of highway driving and every time we had to get around a slower vehicle, the CX-9 responded without an ounce of hesitation. In regards to the Mazda CX-9’s driving dynamics, the rumors are true. This is by far the most fun mid-size crossover to drive in its segment. It feels smaller than it is, and more dialed-in as well. It feels composed and in control on winding roads, navigating on-ramps or just driving around tight spots in the city. 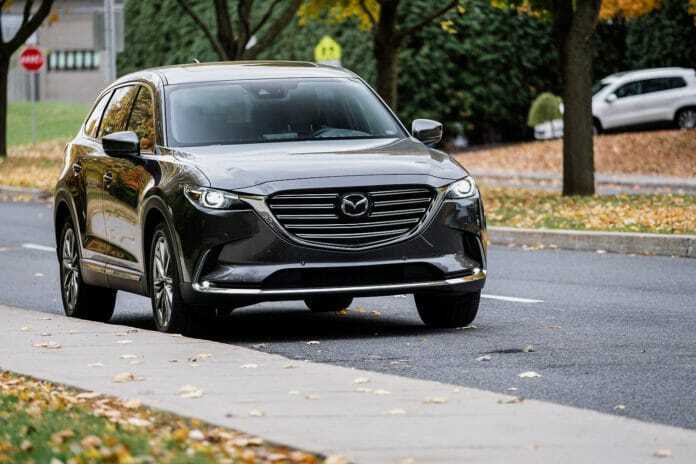 We tested the 2019 Mazda CX-9 Signature in just about every possible situation, and it always responded with connected handling and a feeling of always being up to the task. Stay tuned for our second long-term Mazda CX-9 review covering fuel economy and technology.